Established in 1908, the West Point Volunteer Fire Company, a.k.a. 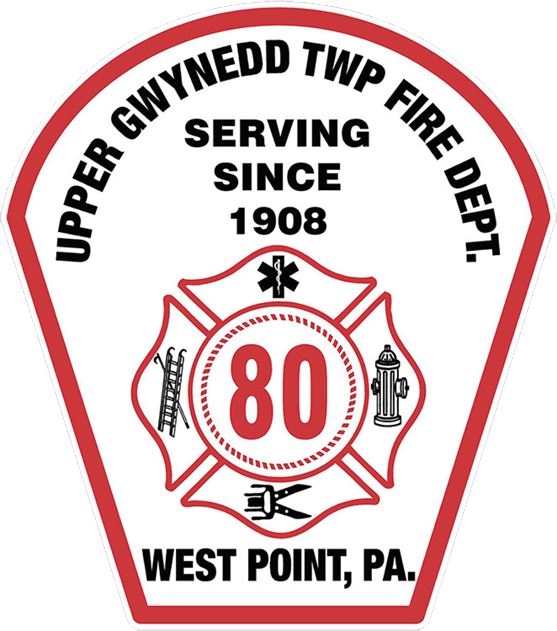 Upper Gwynedd Township Fire Department proudly controls and prevents fires in the township and adjacent territories of Upper Gwynedd. We’re entirely volunteer supported and consist of 90 members, including firefighters, rescue technicians, EMTs, and fire police. Our fire department is always looking to add to our membership. We operate 3 pieces of frontline apparatus which include an attack engine, a rescue/pumper, and a tower ladder. We also operate a QRS, utility truck, and a incident command vehicle. We also own and continue to maintain a 1947 Mack pumper used only for public events. The corporation shall be known as the West Point Volunteer Fire Company of Upper Gwynedd Township, Montgomery County, Pennsylvania, a.k.a. Upper Gwynedd Township Fire Department. The object of this company shall be, support and operation of fire fighting apparatus and other equipment for the control and prevention of fires in the township of Upper Gwynedd, and the territories adjacent thereto.